Item # 308741 Stash Points: 3,999 (?) This is the number of points you get in The Zumiez Stash for purchasing this item. Stash points are redeemable for exclusive rewards only available to Zumiez Stash members. To redeem your points check out the rewards catalog on thestash.zumiez.com. 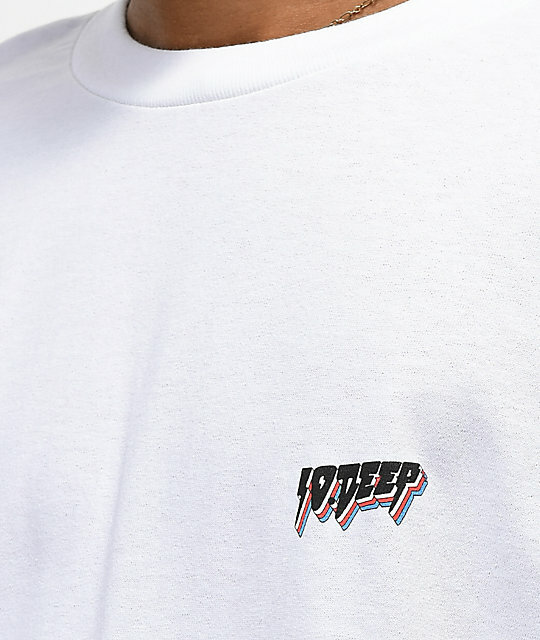 Tie your casual looks together with the All The Lights White Long Sleeve T-Shirt from 10 Deep. 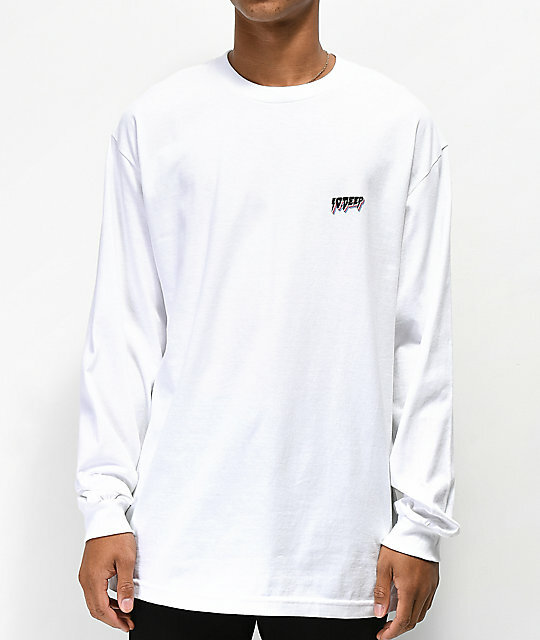 This cotton long sleeve tee features a ribbed crew neck collar and sleeve cuffs with screen printed 10 Deep logo graphics at the front left chest and back for a simple design that can be paired with any bottoms. 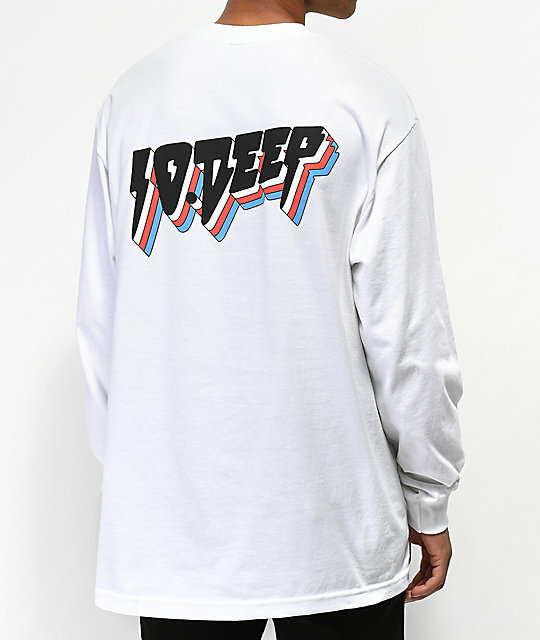 All The Lights White Long Sleeve T-Shirt from 10 Deep.